What Exactly is Procedural Modeling and Animation? I remember the first time I seen a tutorial showing how to model a set of gears in what must have been Houdini version 1. I was floored. I was also confused. The entire scene was set up procedurally, which left my jaw open, but it also seemed a little less tactile than just modeling gears “traditionally”. 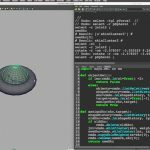 what exactly is Procedural modeling and animation and how does it apply to Houdini? 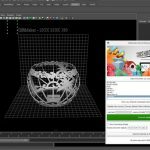 Fast forward 10’s of years, and Houdini has become a real powerhouse application, which in some respects, feels much more modern than other content creation apps today. But what exactly does procedural modeling, or procedural animation mean? And how does it all relate to Houdini? Side FX Houdini trainer, Rohan Dalvi attempts to answer the question “What exactly is procedural modeling and animation?”. Rohan notes that the question that he gets asked quite often is to define procedural modeling and animation and what makes Houdini so good at it. So Rohan created this video which tries to explain concepts involved, and what it really means to “Go Procedural”. If you want to see procedural concepts in action, check out Rohan’s User Interfaces and Motion Graphics animation title – all created in Houdini.